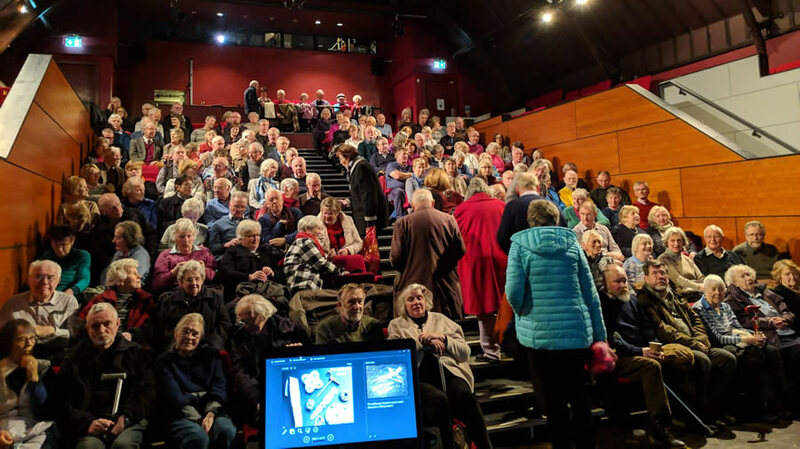 Membership of The Tweeddale Society is open to all and represents the best and most cost-effective way to enjoy our talks. and you will be supporting the provision of high-quality talks in Tweeddale and helping to ensure its continuation in the future. Upon payment, your Membership Card will be given to the Eastgate Theatre box office which will print off complimentary tickets for all talks. These, and your card, will be available for collection at the box office approximately two weeks after receipt of payment. We will announce details of our upcoming season to existing members by Summer and invite membership renewals shortly after. Non-members may buy tickets for any talk for £6 from the Eastgate Box Office 01721 725 777 www.eastgatearts.com Its cost can be credited against the annual subscription if you decide to join the Society. Peebles High School pupils can attend free of charge. To apply for membership, please download an application form.